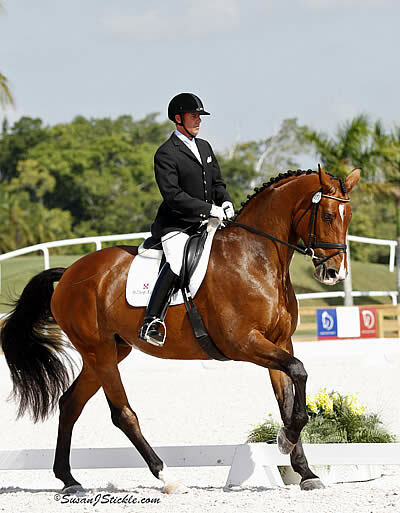 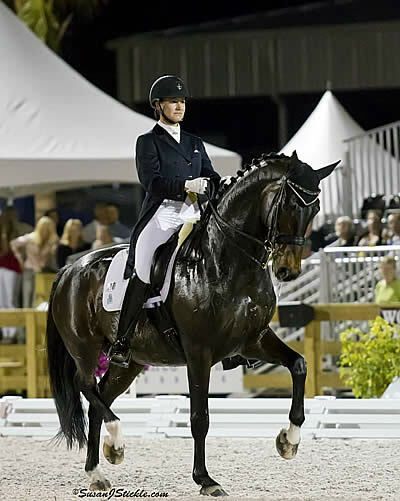 Wellington, FL – April 4, 2012 – Christopher Hickey of Colora, MD rode Balissa HTF to the highest score of the day at the Global Dressage Festival National 2 Horse Show on Wednesday. 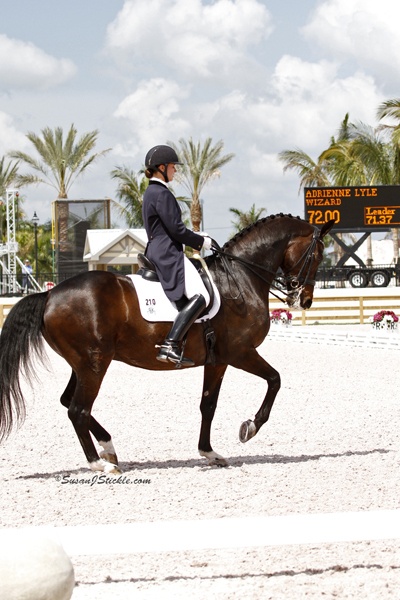 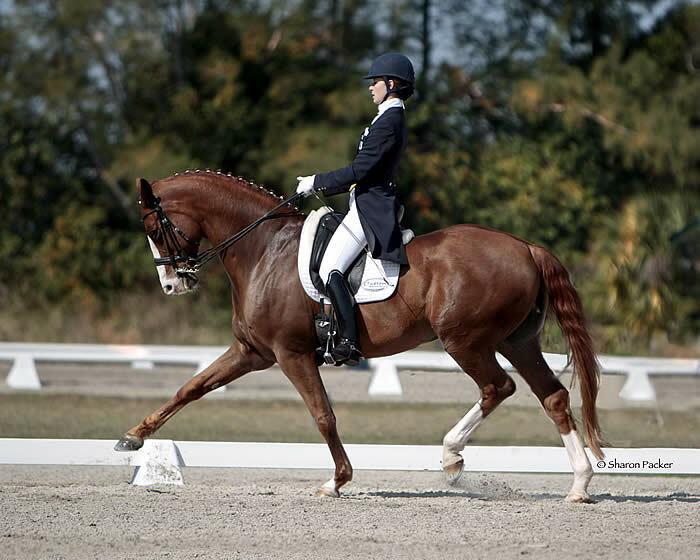 The pair scored 75.323% in the USEF First Level Test 3 – Open at the Stadium show grounds of the Global Dressage Festival (GDF). 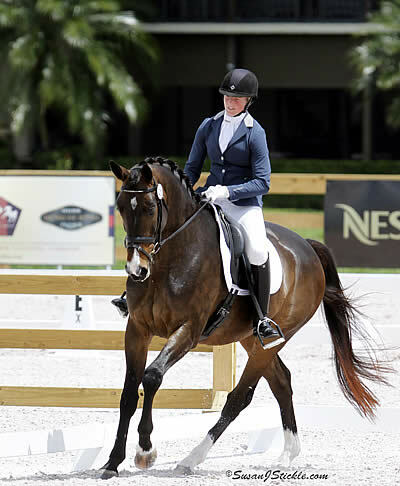 Mary Ambrose of Canada and Ming Dynasty were reserve high score receiving 71.757% in the USEF Fourth Level Test 2 – Open. 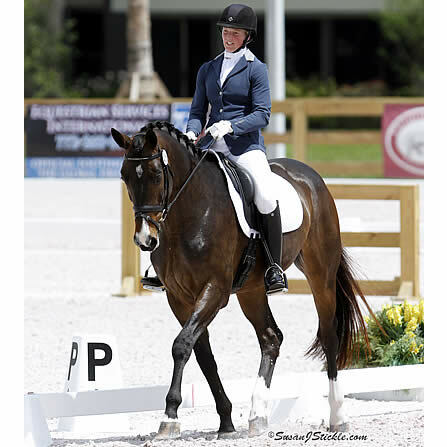 Balissa HTF is a Hanoverian owned and bred by Jane MacElree of Hilltop Farm in Colora, MD. 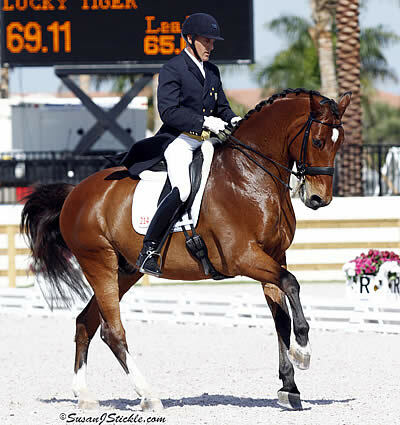 MacElree and Hickey were pleased with the five-year-old mare’s performance.